The humidifier solution Sikarlan is made out of a perfect mix of 50% propylene glycol and 50% distilled water. 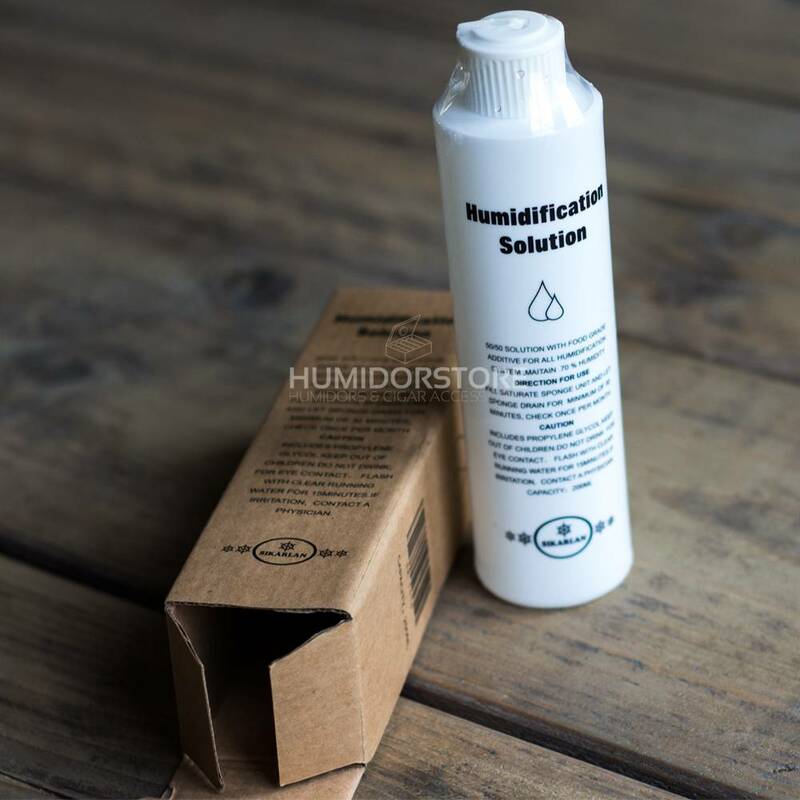 This solution provides a practically effortless 70% humidity level every time. The usage of humidifier solution has many advantages opposed to the usage of distilled water. 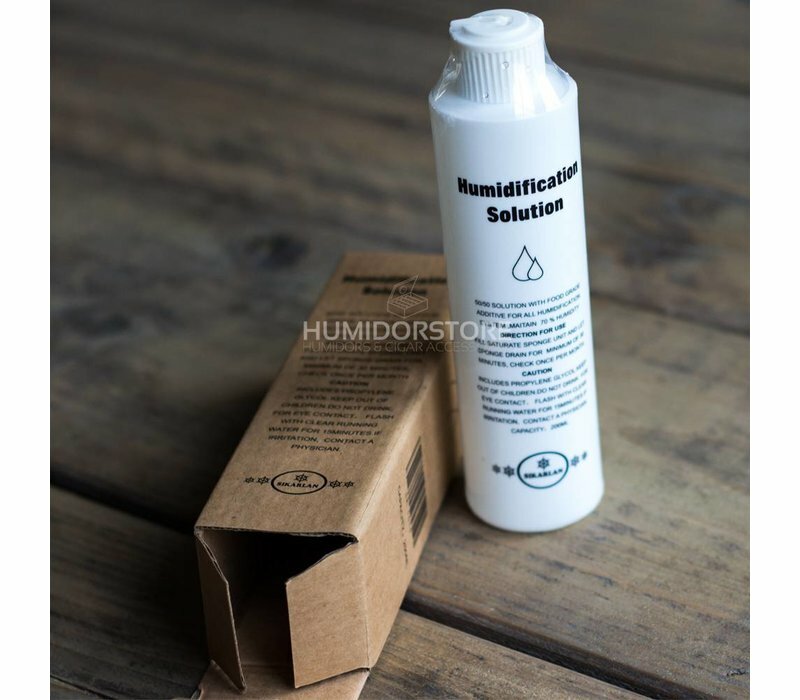 Our humidifier solution will help keep mold away from your fine cigars as well as chalk and will keep your cigars in perfect condition. The bottle contains 200 ml.